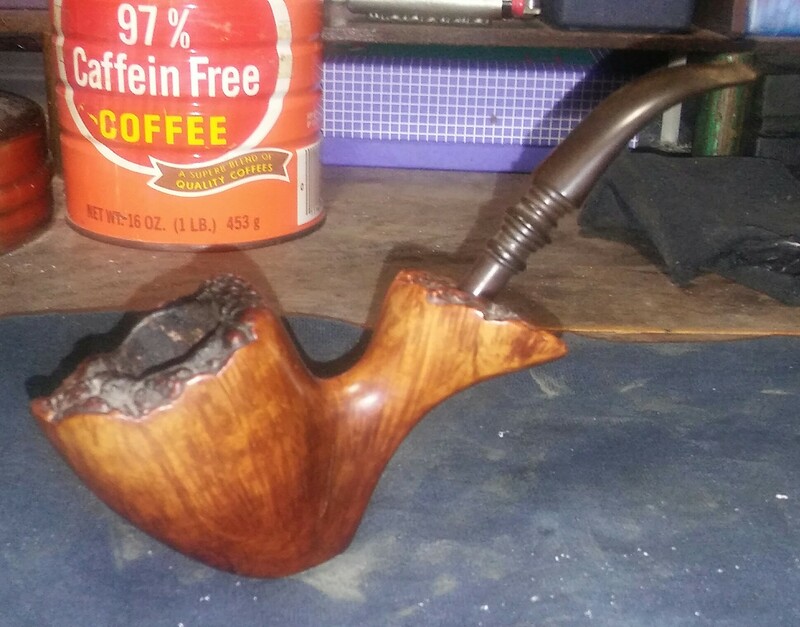 Previous PostCustom-Bilt (90% smooth)Next PostA Pipe For Poppy. Tim that is great work. Well done. I especially like the way you improvised with the drill to turn the stem… that gave me some great ideas. I appreciate the creativity on that – well done. that pipe and stem are amazing. 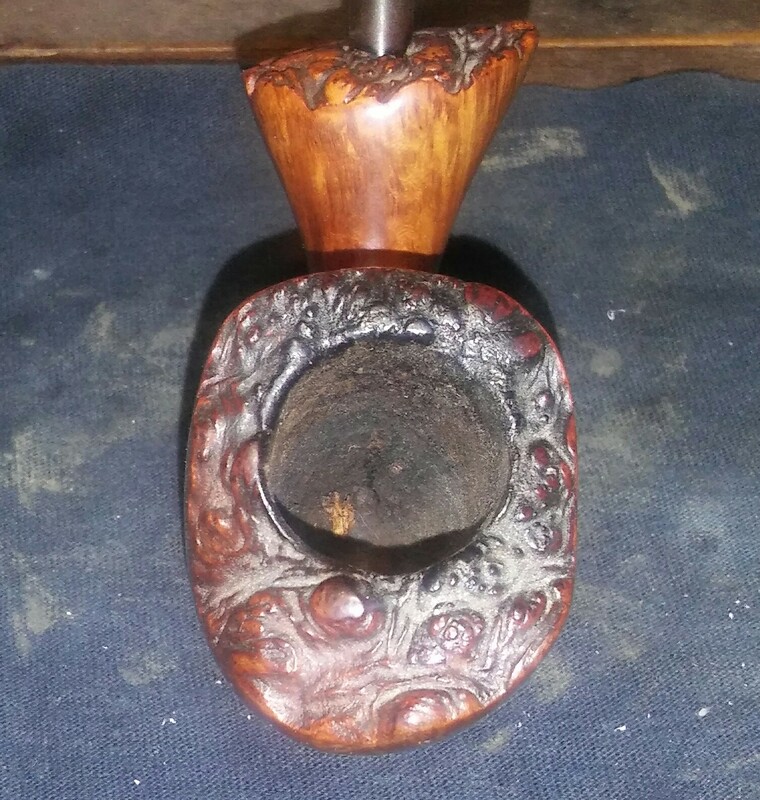 Just had to reblog it so the rebornpipes family get a chance to see the innovation and the beauty. I like you am not the biggest fan of Freehand’s , i own two . That said though all i can say is WOW. That turned out spectacular! Very nice job on the restoration. I’m another not so much a fan of free hands. The crack repair is excellent. 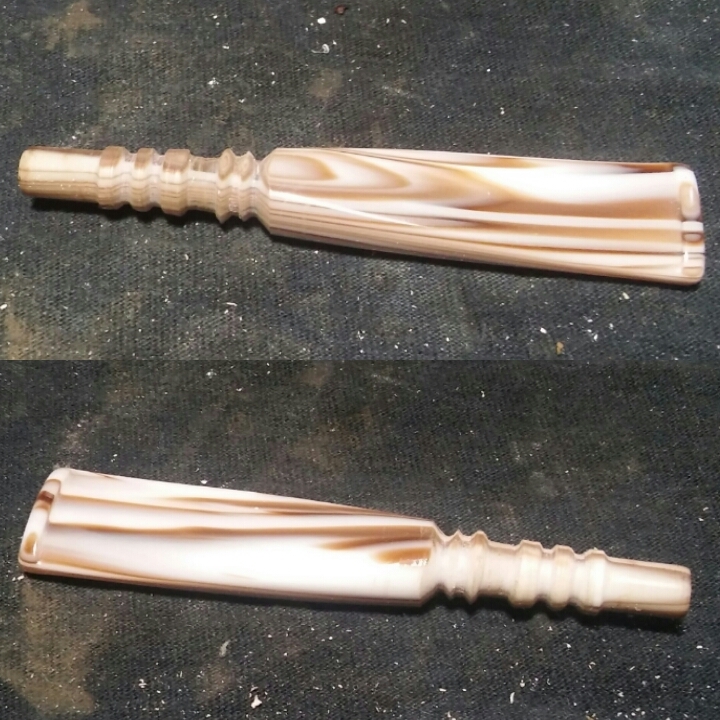 Really nice finish work as well. 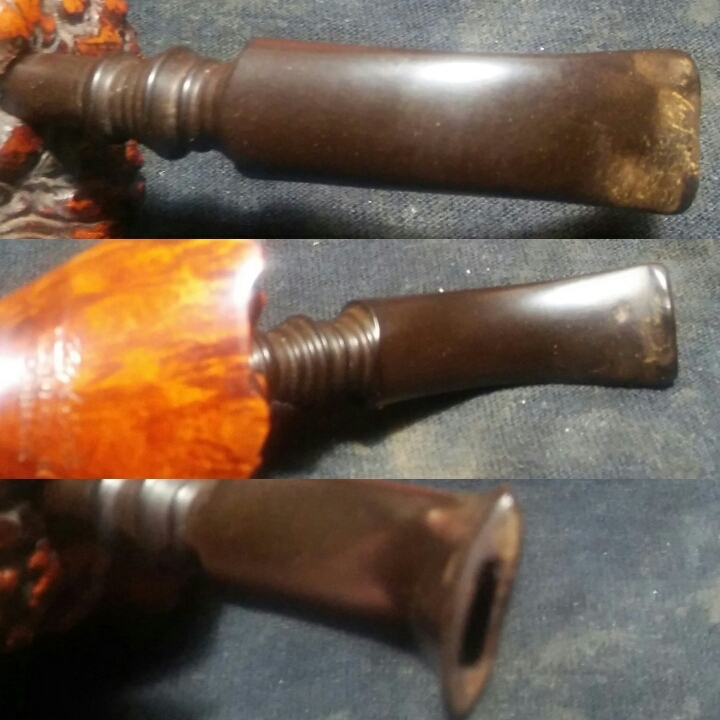 I’ve had a Ben Wade estate for about a year now with a mortise crack. You may have given me inspiration. I neglected to say that your use of the drill to carve the stem was awesome. I’ve had the uncut stems for a long time but I didn’t have a match for them until now. 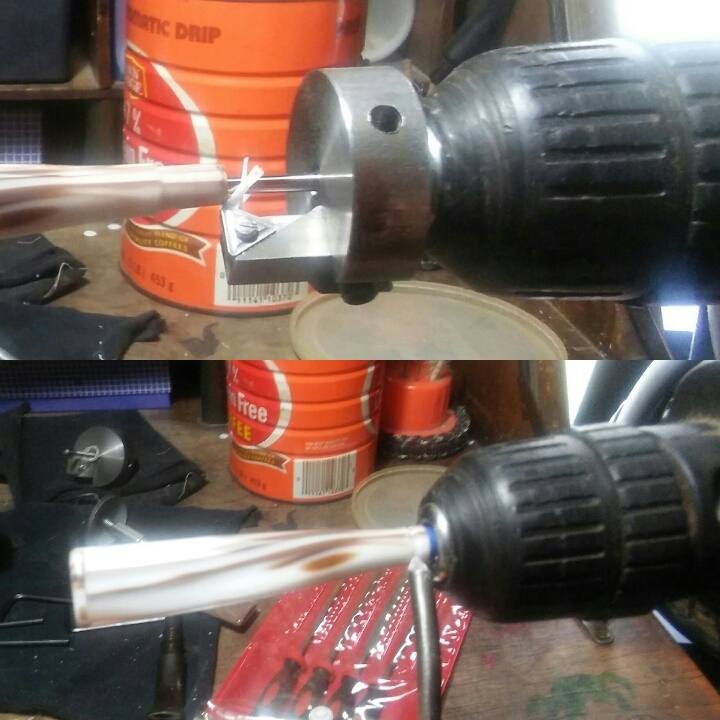 I played around with a few ideas befor coming up with the drill method, really wasn’t sure if it would work, I worried the tenon would crack as it was tightened in the chuck but it was a success. Excellent work all around, Tim! The pipe looks great. Inspiring stem work!